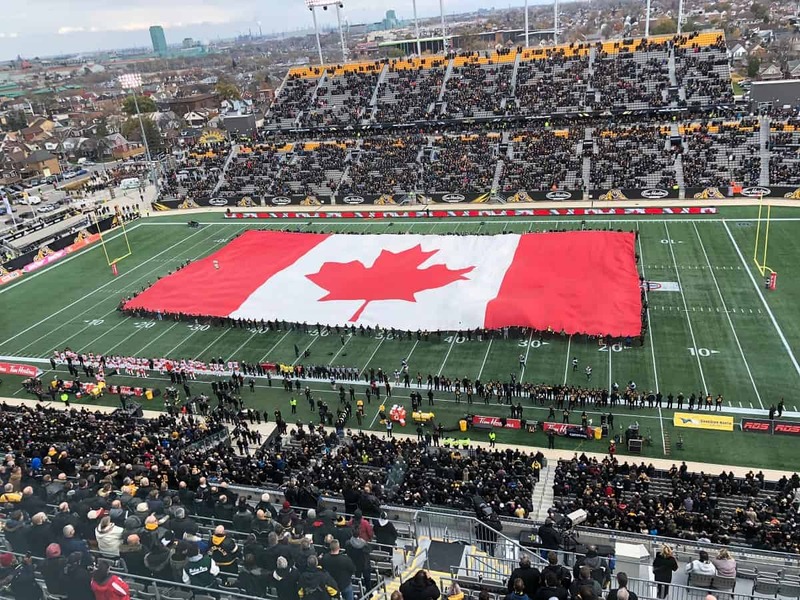 Hamilton, ON- In what was eerily similar to the last meeting here between the two teams, the hometown Hamilton Tiger-Cats came out firing from the opening kickoff and punched their tickets to next Sunday’s Eastern Final in Ottawa. 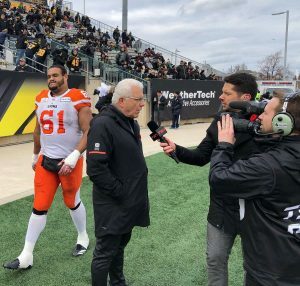 Jeremiah Masoli completed his first ten passes and engineered touchdown drives on each of the Ticats’ three possessions in a 48-8 victory that ended both the BC Lions’ season and illustrious head coaching career of Wally Buono. For Travis Lulay, there was no sugar-coating. “Not much to say, right? 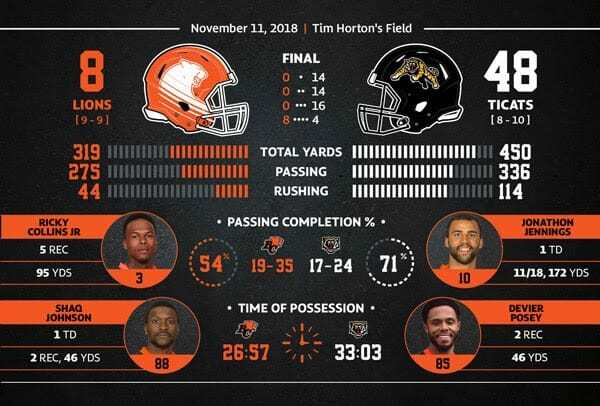 It was not good from the get-go, they held the momentum throughout and just a disappointing finish to gritty second half of the season for us,” Lulay said. Lulay and the offence struggled to find momentum early and often before Jonathon Jennings took over at quarterback midway through the third quarter. Jennings found Shaq Johnson in the end zone for the Lions only score of the afternoon. 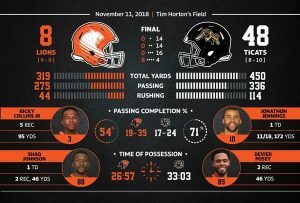 The veteran Lulay completed just eight of 17 passes for 103 yards and also fumbled on the Lions’ first play from scrimmage that set up Hamilton’s second major of the afternoon. “It was just the whole thing, right? 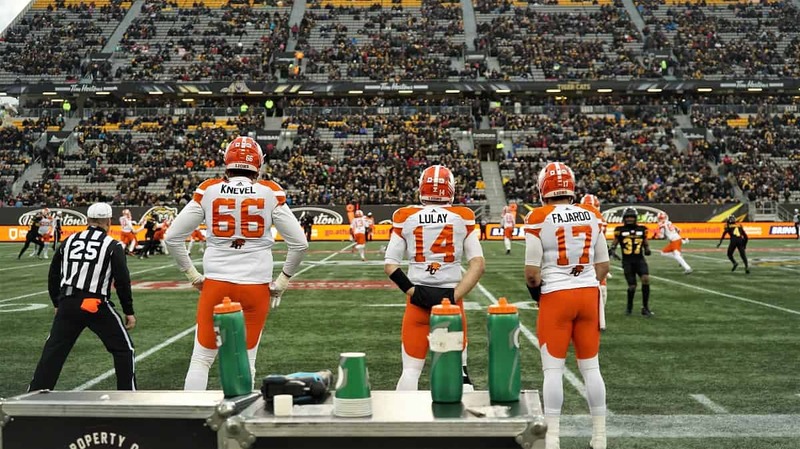 None of it went good for us,” Lulay added. Luke Tasker caught two touchdown receptions while Bralon Addison led all receivers with 124 yards on five receptions. 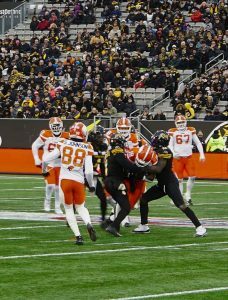 It was certainly not a banner day for Solomon Elimimian and a defence that had made lots of headlines for their improved play later in the regular season. “They made plays and we didn’t. It’s just as simple as that,” Elimimian explained. 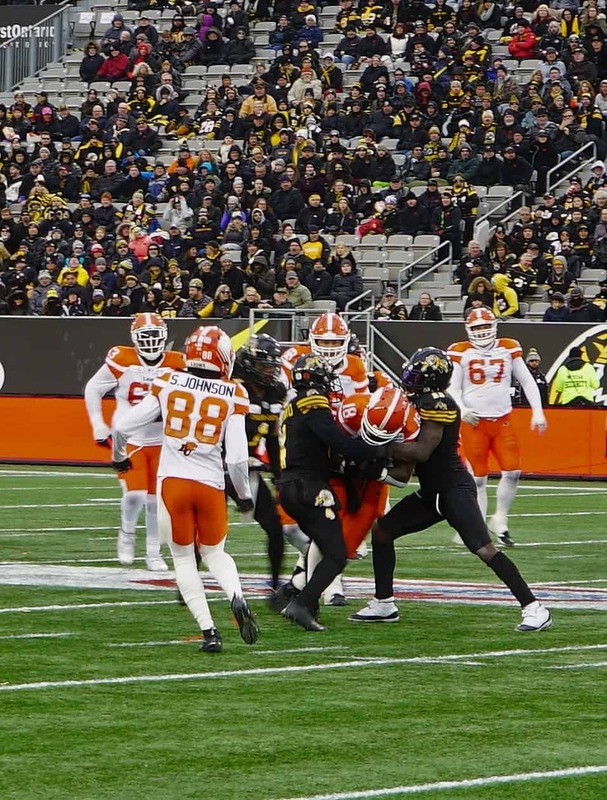 We talked pre-game about how important it was going to be to pressure Masoli early and often. 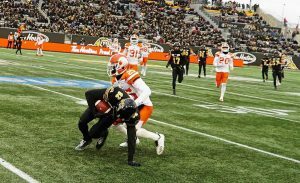 From the opening drive of the game, he proved he wasn’t afraid to test the back end of the Lions’ defence and take advantage of the extra time in the pocked he was given. 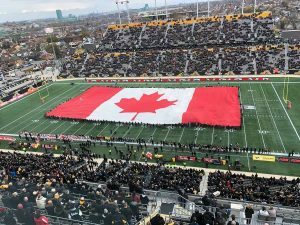 It just seemed whenever the visitors had a chance to get back into it, the aggressive Ticats were hell-bent on denying it. The prime example came late in the second quarter when Cody Fajardo was stuffed on a 3rd and one on their own 42-yard line. 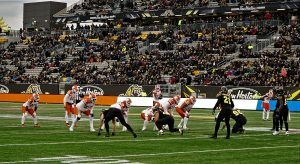 The turnover on downs led to Masoli’s third touchdown pass of the half and a 28-0 lead at the break. His legacy will not be tarnished by it, but certainly, it was not the way Buono envisioned going out. “It’s like every other loss. Losses are always difficult to deal with,” Buono said. “Life’s not fair” was essentially Buono’s message to the players in their final post-game locker room breakdown of 2018. Last week’s message was also blunt when he stated he was not ready to go home after one game in the playoffs. Now GM Ed Hervey, whoever replaces Buono and the rest of the staff will eventually get right to work and try and fix what went wrong. But first, there will be a little time for reflection on what was quite a rollercoaster 2018 season in the den. Not many predicted they would be playing beyond game 18 after a 3-6 by the time Labour Day rolled around. 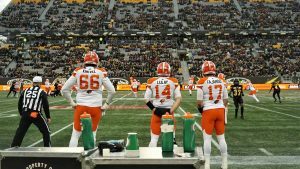 “That’s the biggest thing,” Lulay added. He went on to say he has not yet thought about his future beyond Sunday. The way this one went down will no doubt sting for a long time. 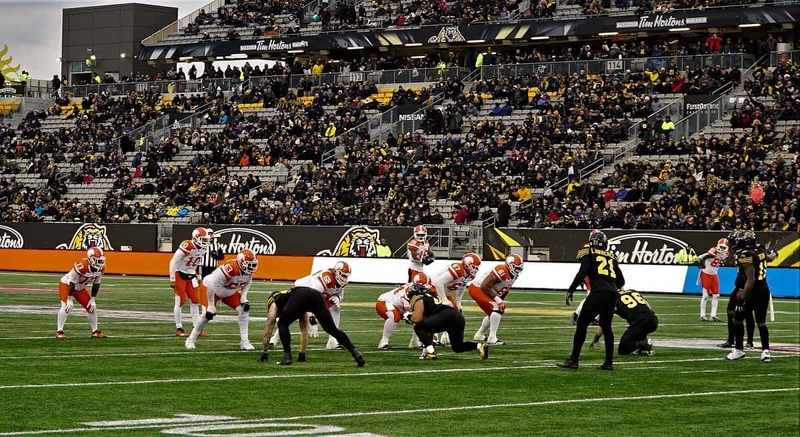 6- turnovers forced by the Tiger-Cats in this one. Two fumble recoveries, an interception and three on downs. 4- the total number of Hamilton sacks. 450- the total yards of offence for Masoli and company. 24- rushing yards for Tyrell Sutton whom we’d tabbed as our pre-game X Factor. Granted, falling behind as early as they did resulted in abandoning the running game. 95- a team-leading total in receiving yards for Ricky Collins Jr.
A hat tip to you the fans for reading and viewing our content all season long. We look forward to bringing you all of the upcoming news throughout the offseason.